Uche Nwosu, son-in-law to Governor Rochas Okorocha has decamped to the Action Alliance party (AA), which is Okorocha's former party some years ago. 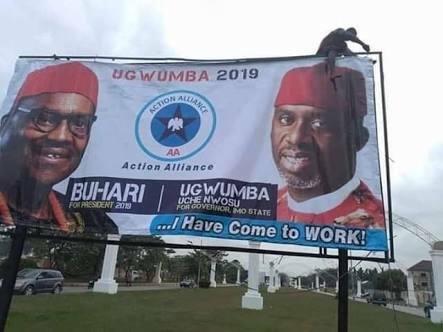 Nwosu, who was formerly in the APC, is still contesting to become the next governor of Imo state. He was denied the ticket by the Adams Oshiomole-led leadership, prompting his departure.